After 43 years at Henry Ford Hospital, starting out as an intern and rising to become CEO, Dr. John Popovich announced today he will retire in the spring of 2018. "Dr. Popovich is known for his love of the people at Henry Ford Hospital and his affection for the city of Detroit," Wright Lassiter III, president and CEO of Henry Ford Health System, said in a statement. 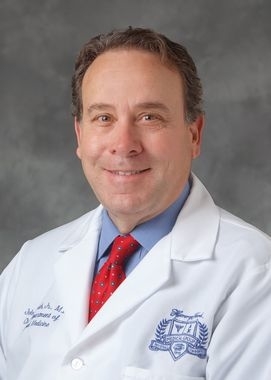 "His legacy includes building, leading and nurturing a team that is well-positioned to continue the hospital's reputation as an academic medical center highly regarded for its research, education and clinical excellence." Popovich has served in many roles at Henry Ford and later at the six-hospital health system. Besides CEO of Henry Ford hospital since 2010, Popovich is chief medical officer for the health system. In 1980, he became a senior staff physician in the Henry Ford Medical Group after his fellowship in pulmonary medicine. He was director of the critical care unit at Henry Ford Hospital and later developed the critical care training program and led the expansion of critical care medicine at Henry Ford Hospital. In 1999, Popovich became chair of the department of internal medicine. In 2008, he became senior vice president for clinical affairs for the health system. "We are so grateful to Dr. Popovich for all of his contributions and are very happy that he is committed to continuing to lead many key strategies for Henry Ford Hospital until his retirement," Bob Riney, president of health care operations and COO for Henry Ford Health System, said in a statement. "John Popovich to retire after four decades at Henry Ford Hospital" originally appeared in Crain's Detroit Business.